Yancy's surfing career began on a Hutson surfboard (named after the Pensacola hardware store where they were built. "It was May 1, 1965, and I was 14," said Spencer in a 2009 interview. "There was a small southwest windswell, and the waves were small, easy for somebody who had never been in the Gulf with a surfboard. I went out and caught the first wave. I saw my friends standing up to watch, and I got embarrassed and flipped off the board. But I was wondering what would have happened if I'd stayed on. After that I was like a man on a mission - I paddled right back out, caught the next wave and rode it all the way to the beach. By that second wave, I was addicted to the sport of surfing." Within six months, he was surfing competitively; and by 1966 he had free surfboards and a weekly salary, surfing for Challenger. In 1969, he met Skip Savage who helped arrange a deal surfing and shaping for Greg Noll. In 1970, Spencer was ranked the #1 surfer in the Gulf Coast Surfing Association - at that time, the largest organized surfing association in the world. By now he had signed with Blue Cheer, who was producing a Yancy Spencer model surfboard. Then in 1971, he formed a company with east-coast surfer Jimbo Brothers and Hank Warner, his California shaper, calling it AGP (for Atlantic, Gulf & Pacific). And by the time Blue Cheer went out of business in 1972 , Spencer took over the shop and changed the name to Innerlight, which now has locaitons in Gulf Breeze, Pensacola, Destin, and in Gulf Shores, Alabama. Spencer went undefeated to a first-place finish in the 1972 Eastern Surfing Association Pro, beating a crowd of top-ranked surfers that included David Nuuhiwa, Mike Tabeling, Gary Propper, Greg Loehr, Dale Dobson and Jeff Crawford. In 1975, he took second in the US Surfing Championship when it was held for the first time in Texas. Other honors include placement in the 1986 and 1987 US Surfing Championships; and in the mid-90s, he won the masters division (40 and over) of the US Pro Longboard in Malibu. Innerlight grew from a 400 sq ft cinder block building…into 4 locations from Pensacola, FL to Destin, FL. Yancy co-owned Innerlight with his brother JB (Spencer) Schluter. Since then the torch has been passed on to his family to continue in the same path. Innerlight is very involved with it’s community and sponsors many events, schools, and teams. Stop by any location and you will see why many people see Innerlight as a second home. 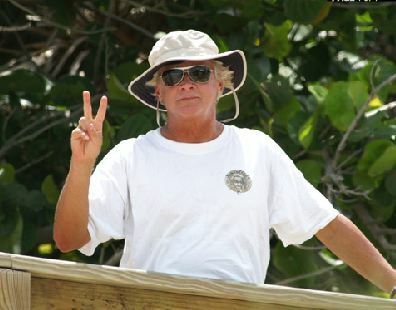 Yancy passed away in February of 2011 after surfing all day at one of his favorite spots in California. Those who knew Yancy also know his work in the Christian ministry and community service. He left a big, broad brush-stroke of a legacy and he lived - really lived - in the time he was granted.